Can you believe it? 2016 is over. WELCOME 2017! What an exciting school year it has already been. I hope as you prepare to go back to school in January that you take advantage of this FREEBIE on Teachers Pay Teachers to use in your classroom. 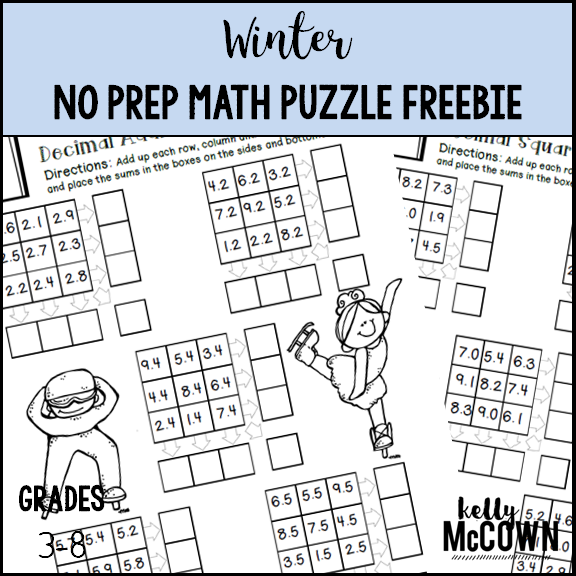 *1 Winter Themed Math Puzzle centered on reviewing math curriculum.